Easily among the most loved SUVs in the market, the 2016 Renault Duster comes with a host of updates to take on the fresher rivals like the Hyundai Creta. 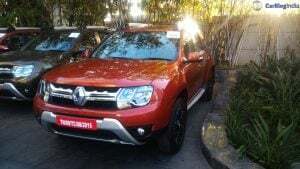 With prices starting at roughly INR 8.5 lakhs, the refreshed Duster comes with, believe me or not, 32 new features to lure the prospective buyers in the small SUV segment. Speaking of the technical end of things, the Duster remains largely the same, but now gets an AMT for the top-end 4×2 model. 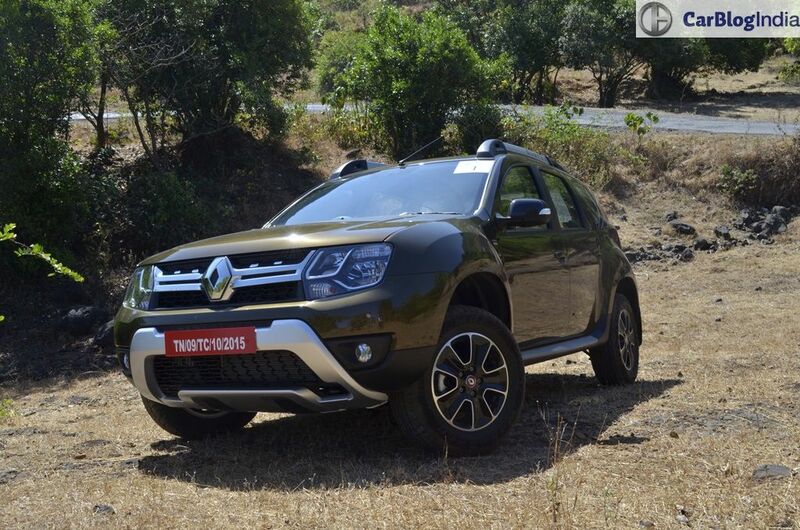 We are just back from driving the new Duster AMT and also the refreshed AWD version on the fantastic roads around Lonavala, and here’s our new 2016 Renault Duster Automatic Test Drive Review with all the details on the recently launched facelift. But it looks the same, no? No, not really. 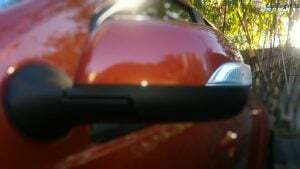 True, the neat lines and clean surfaces remain untouched, but the MY ’16 Duster gets enough styling changes, both inside and out, to look significantly different from the earlier model. The biggest highlight is the revised front fascia, which now comes with a new radiator grille and a pair of revised headlights. 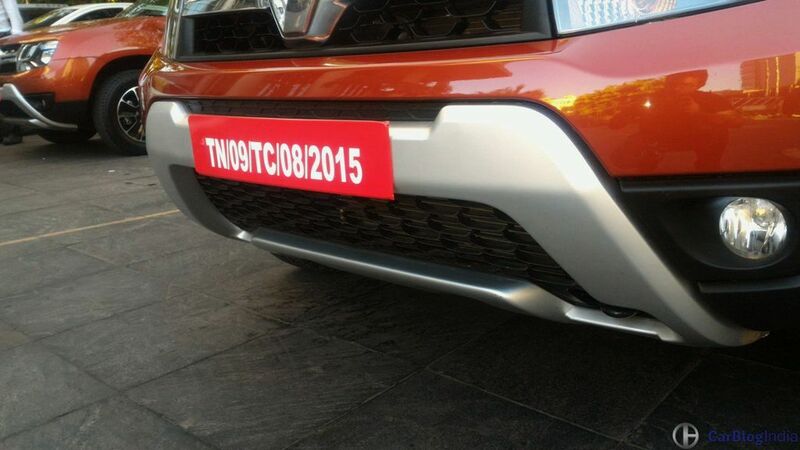 Personally, I feel that the revised grille and that faux skid plate come along really well to enhance the butch looks. Also new to the car are the updated taillights. These carry a new motif that is being called as the ‘waterfall’ design by the manufacturer. 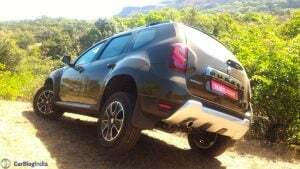 The Duster also gets a new pair of shoes in the form of new alloy wheels that boast of a gun-metal finish and look slightly aftermarket-ish. 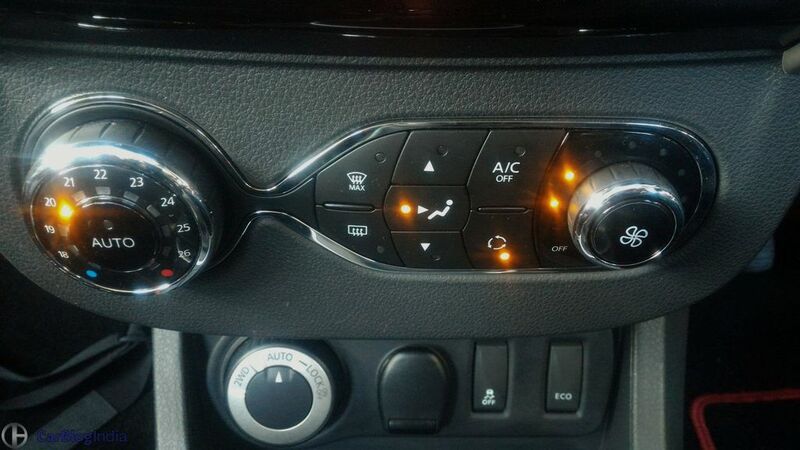 Other less noticeable changes include new roof rails, new fog lamps and turn indicators on the ORVMs. 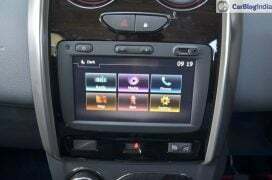 Overall, these styling changes infuse some freshness with the fast ageing design and do manage to spice up things a bit. 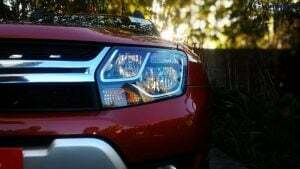 That said, there’s no running away from the fact that the 2016 Duster doesn’t look half as flamboyant as its fresher rivals, but the Duster holds its own with an aggressive stance and proportions characteristic of a ‘true-blue’ SUV. Even the interior looks familiar . . . It is! 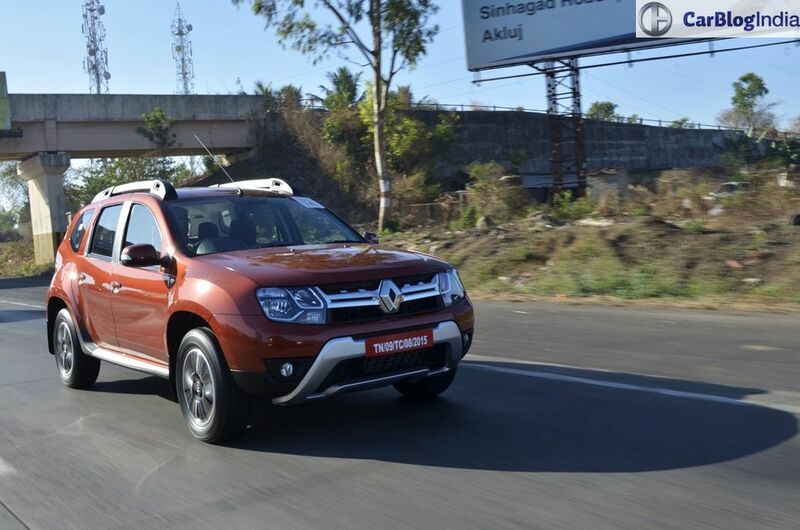 The Duster has always impressed us with an airy, well-built, and an adequately spacious cabin, and the 2016 MY continues to possess this trait. What’s new, however, is the interior colour theme. Interior panels now get a brown-black instead of beige-black combo earlier. 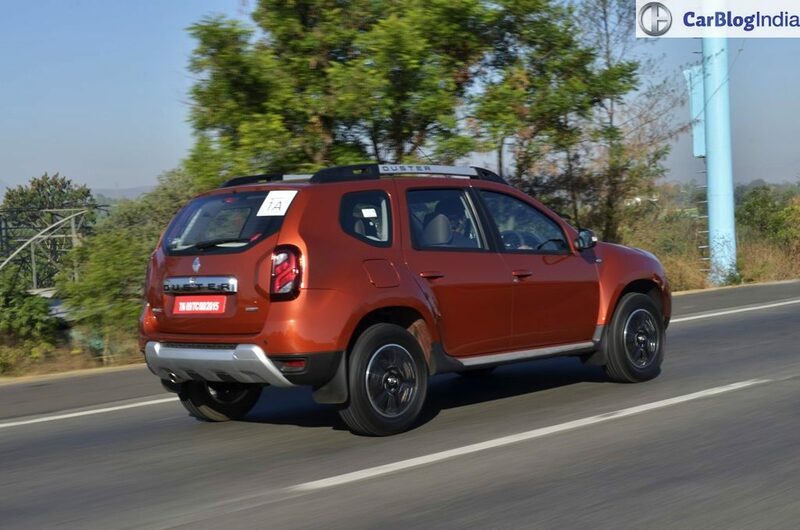 I have never been a huge fan of brown-coloured interiors, but let’s admit it, the Duster’s cabin looks fresher, and I daresay, even a touch more premium in this new colour. 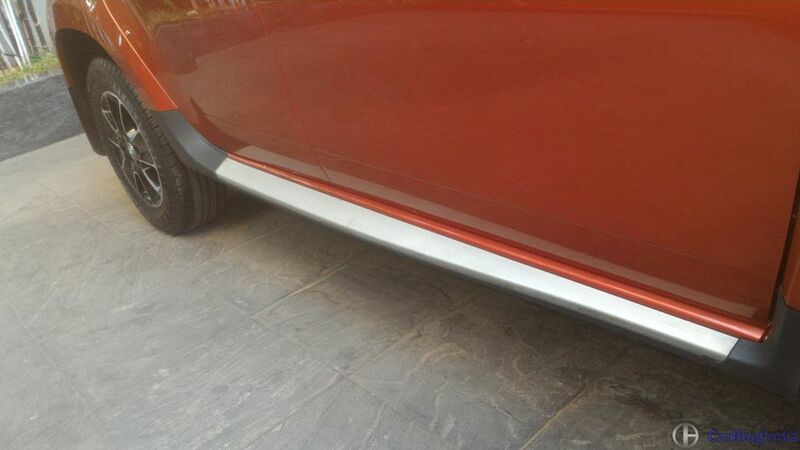 Complimenting the panels is the brown seat upholstery. The centre console gets a piano-black finish and is flanked by faux silver inserts, all of which enhances the feel-good factor. 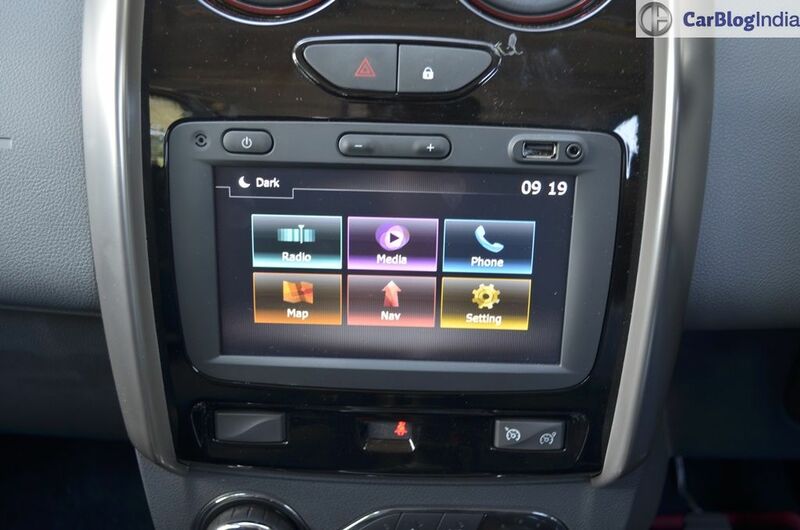 Overall, Duster’s cabin continues to be a pleasant place to be in, and the new colour theme ensures that the facelift’s cabin feels, at least, a bit special. While the top-end RxZ trim comes with most of the bells and whistles one expects from a car of this price, the entry-level model misses out on all the safety equipment (read – Airbags, ABS, EBD). Basically, in a bid to attract buyers with a lower price tag, Renault India has decided to skip on the aforementioned safety features. 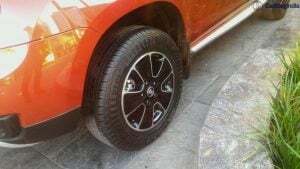 This is in stark contrast to entry-level models of cars like the Maruti Vitara Brezza, which offer these features as standard fitment. There are slight ergonomic issues plaguing the Duster. For instance, the AMT variant does not feature a dead pedal, even though there is plenty of space in the footwell, and, although the power window switches have found a new position, they still foul with the knee at times. 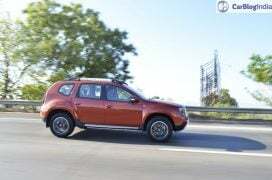 Akin to the pre-facelift version, the Duster is being offered with a choice of three engines – a 103 bhp, 1.6-litre Petrol and a 1.5-litre Turbocharged Diesel that is available in two states of tune – 83 bhp and 108 bhp. The AMT is available only on the more powerful Diesel version. 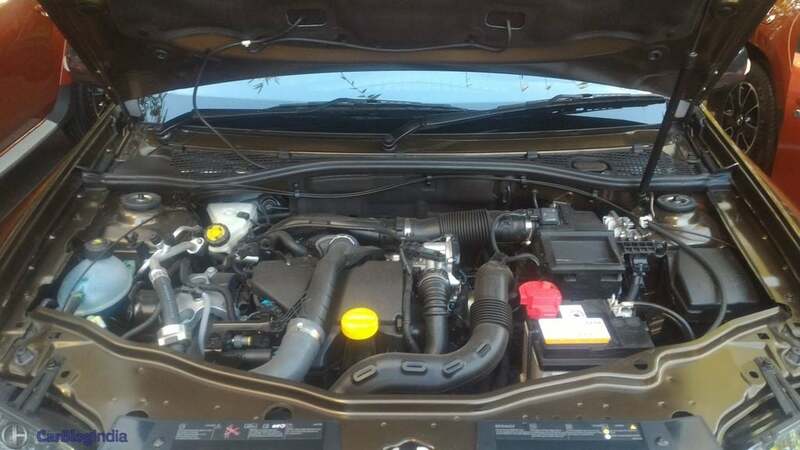 It may be noted that apart from the introduction of the Automated Manual Transmission, the engine remains largely similar to the earlier version. All this means that the tried-and-tested K9K oil burner continues to impress with a good mix of performance and fuel efficiency. 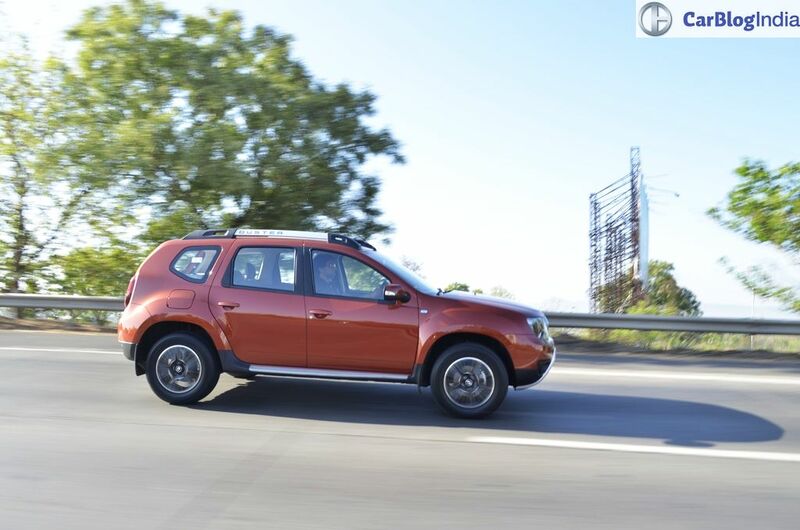 Talking of the fuel efficiency, the Duster now comes with an ECO model that helps further improve the fuel mileage by regulating the throttle inputs. 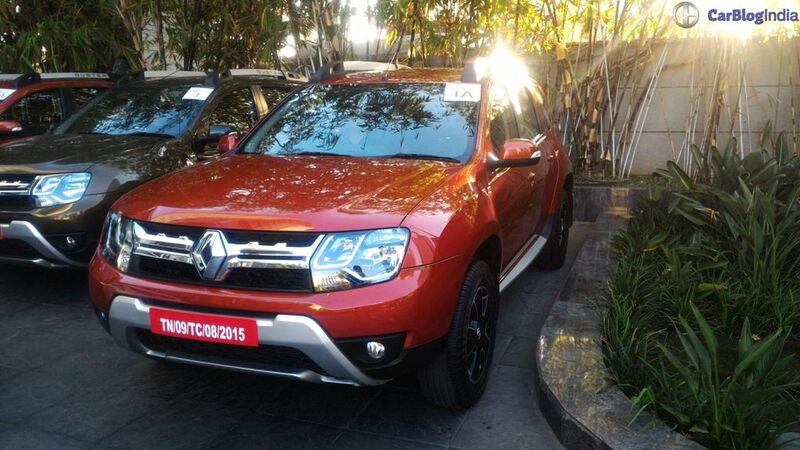 The 2016 Renault Duster AMT enjoys an ARAI-rated fuel mileage of 19.6 km/l. Dubbed as the Easy-R (pronounced ‘easier’), the new Automated Manual Transmission is a fairly modern ZF-sourced unit. Based on the regular 6-speed Manual transmission, the AMT comes with actuators that shift gear for you. In D mode, the Duster AMT can be driven like any other automatic car and shifts gears as per the throttle input/engine speed. 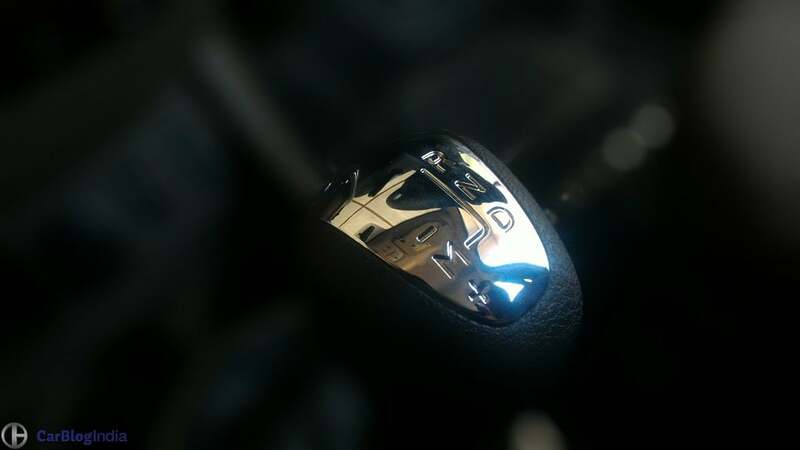 M or Manual mode, however, enables you to have a control over the gear-shifts. All in all, the Duster’s AMT is an impressive unit. However, it is worth a mention here that AMTs don’t enjoy the quickness and precision of a Dual-Clutch Auto ‘box and the Easy-R transmission is no exception. There’s a slight lag between the gearshifts, especially during the downshifts. The slight delay in gearshifts and the lag below 1,800 rpm do take a toll on the acceleration times. 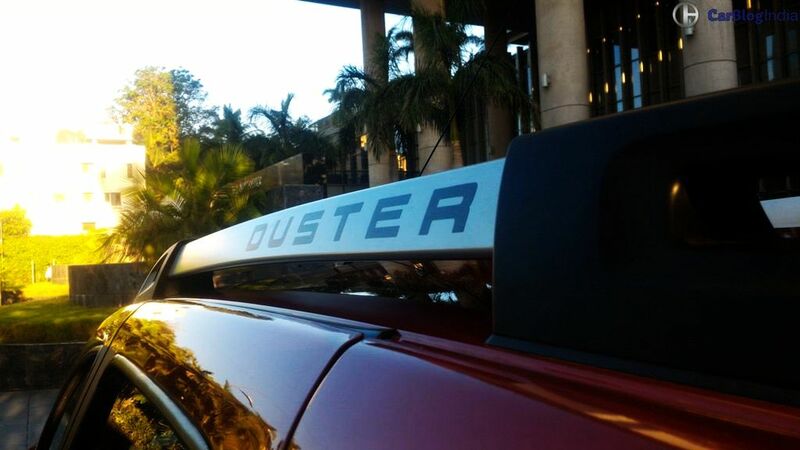 However, the Duster continues to be an eager performer enjoy a strong top-end performance. 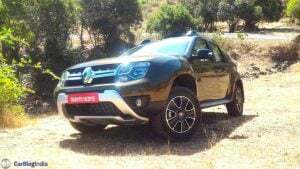 Overall, the introduction of AMT has made the Duster a lot more convenient with only a marginal impact on the outright engine performance. And there’s always the manual mode that gives control over the gearshifts in case the AMT starts feeling too sluggish. Lest we forget, the AMT also has a hill-start assist and a creeping function to make the Duster AMT even more practical. Worth a mention here are the NVH levels, which have been very well contained. Driving down the highway at speeds of 130-140 km/h, the amount of road noise filtering into the cabin was minimal. 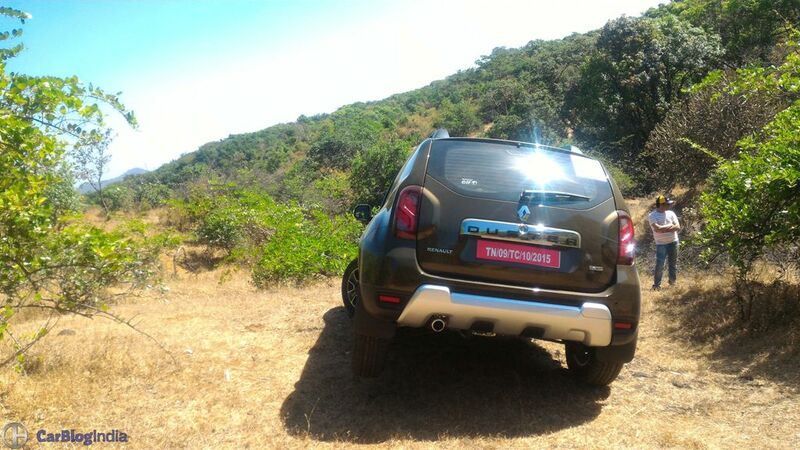 The Renault Duster has always impressed us with a good ride quality and decent driving dynamics. 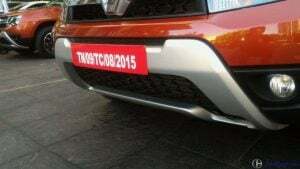 And the MY 2016 Renault Duster is no different in this aspect. The suspension setup does feel a little bit stiffer, but the ride is still as comfortable as ever. The suspension dismisses most of the craters with ease and even the bigger undulations don’t upset the composure of this SUV. Around the corners, the body roll, while evident, never gets too unnerving and you benefit from an almost car-like driving dynamics. Renault has made some improvements to the Duster’s chassis by introducing the new ‘CMO 10’ architecture. The updates lead to a more compliant ride and enhanced off-roading capabilities. Renault has also made a few changes to the steering setup which now feels a bit more accurate. Please Note – We have also sampled the Duster AWD model and will come up with details on the same shortly. 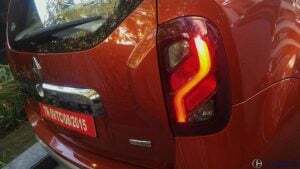 The current gen Renault Duster is in the second-half of its career and hence, misses out on the flair that some of its rivals exhibit. However, the latest facelift does spice up the things a bit and should help the car look fresh for another year or so. 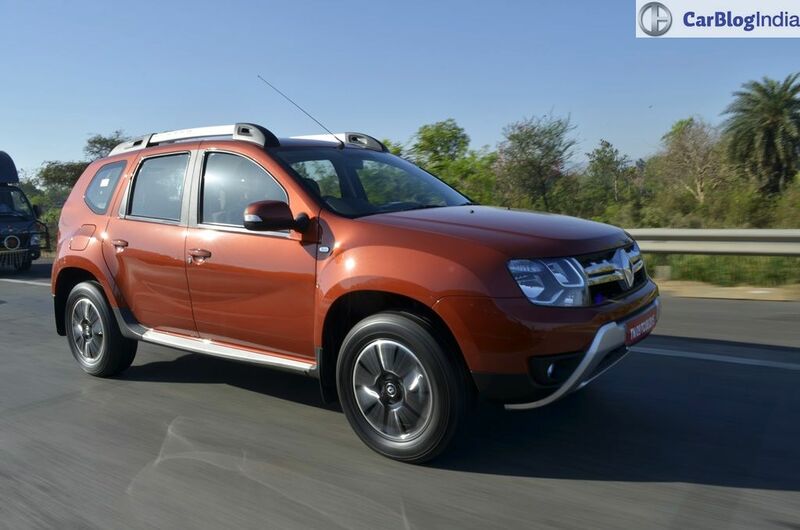 Also, the introduction of the AMT is a big step in the right direction and makes the Duster an even more practical offering. 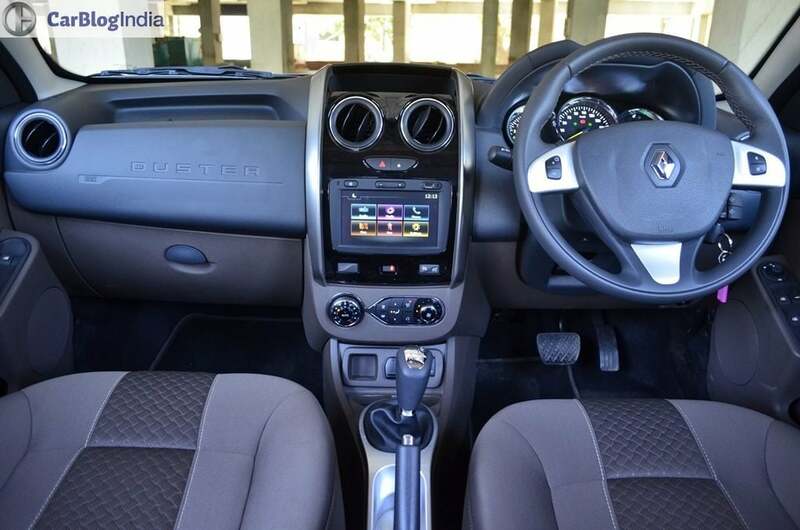 A decent AMT, powerful yet fuel efficient engine, good driving dynamics, high passenger comfort and traditional SUV looks – the 2016 Renault Duster AMT Facelift has a lot going for it. Don’t be surprised to see the latest facelift helping the Duster to further consolidate its position in the small SUV segment. So, what do you have to say about our new 2016 Renault Duster Automatic Test Drive Review? Let us know by commenting below. Also, stay tuned to Car Blog India for more posts like the new 2016 Renault Duster Automatic Test Drive Review here.